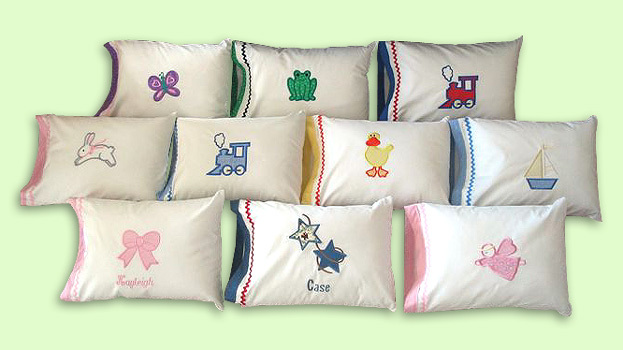 These Brooke’s Line 12" x 16" pillows were lovingly designed for decorative use in baby?s room. The white cotton cases are trimmed with coordinating fabric bias and rick rack on the cuff. The appliqué in the middle can have a name added for special personalization. The pillows can be used for sleeping and napping purposes for toddlers and older children. They are also great for traveling and long car rides. They’re unique gifts that can be used for many years.